So, how's the news looking this week then Nia? Good, bad, happy or sad? Good Liv, and mostly happy. We only really like happy feel-good stories don't we?! Too right Nia. So let's have the jingle then, hurry up, I can't wait to see what is coming up in the news for this week. David Walliams has taken to Twitter to tell the world that a Britain's Got Talent fan recently asked him why Simon Cowell sat on a cushion on the show. People replied to his tweet and suggested that perhaps Simon isn't tall enough, or that he has piles. Harry Potter author JK Rowling has just said that many years ago she confided in Alan Rickman that his character Severus Snape was actually in love with Harry's late mother Lily Potter. But we all knew that anyway, didn't we? Madonna seems to be having a bit of a meltdown, as she left her fans in Nashville waiting for almost 2 1/2 hours at a recent concert. Oh dear Madge. Mary Berry and Paul Hollywood have just filmed a Bake Off special with celebrities including Sam Cam - that's Prime Minister David Cameron's wife, Samantha. 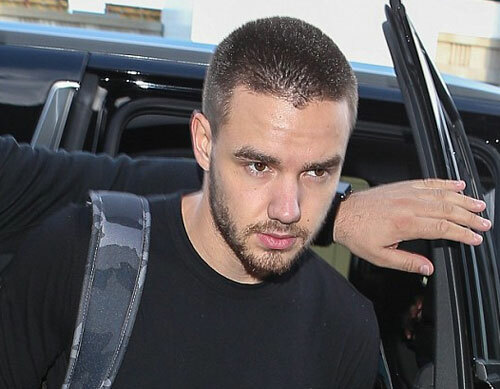 Liam Payne, off of One Direction, has shaved his head. We think it's probably a number two. We prefer your hair a bit longer Liam, but not as long as Harry Styles' hair though. That's a bit too girly for us. A judge has recently ruled that it is quite alright to beat up burglars now, under self defence laws, as long as you don't get too carried away and hurt them too much. Chocolate company Cadbury has announced losses of more than £6 million from its Creme Egg sales, after changing its recipe. People don't seem to like them anymore. 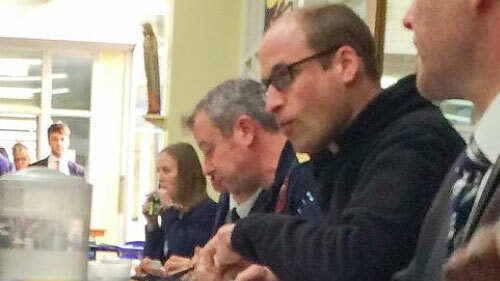 Prince William has been spotted having lunch in a local school canteen in Stevenage with the schoolchildren, because he was very hungry at lunchtime and working nearby, for the East Anglian Air Ambulance Service. He had roast chicken and seemed to enjoy it. The Spice Girls are all getting back together again, to cash in on their 20th anniversary, with plans for a massive world tour in 2016. However, Posh Spice singer Victoria Beckham has said thanks, but no thanks. So it will just be Ginger, Sporty, Baby and Scary then, and no more Posh. She said that she would rather concentrate on her family, marriage and fashion commitments, and it is nothing to do with not being able to sing very well, apparently. Since the 5p charge for carrier bags was introduced in October, more than five million bags have been stolen from supermarkets. Outrageous. Let's all try to be a little more honest in 2016, they're only five pennies after all! Reese Witherspoon has told the world that when she is stressed and needs to relax, she liked to organise her underwear drawer. What a nice idea Reece. She also said that she enjoys tidying up her sock drawer as well, along with her bookshelves. 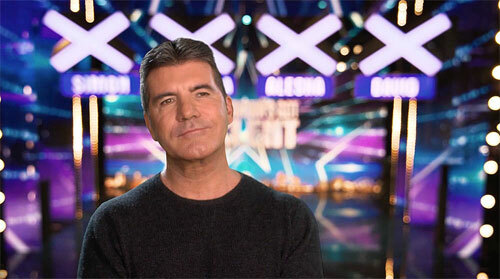 X Factor Going on a Break? Dermot O'Leary has suggested that Simon Cowell should perhaps give his X Factor talent show a bit of a break, maybe for 12 months or longer. We said the same thing on a recent podcast, so perhaps Dermot has been listening to the NiliPOD. Hi Dermot if you're listening right now! Ellie Goulding and Dougie Poynter look like they might be getting back together. They were seen shopping in their local Waitrose the other day, even though Dougie tried to hide his face by having his hood right up, like a balaclava. Brad Pitt is continuing to amaze fans around the world by seeming not to age, despite now being 52 years old. He was photographed at the Golden Globes looking more youthful than ever. Now, we're not suggesting that he's had plastic surgery or Botox or anything, let's make that clear. Perhaps he just has nice skin and a good night-time routine, perhaps. Justin Bieber has been seen out and about, zooming around Beverly Hills, but not in his Lamborghini sports car, he was just using a skateboard. He was wearing a black cap and a shiny blue baseball jacket, and certainly seemed to be having fun, listening to music as he cruised along the street. Adele has become the fastest person ever to reach one billion views on YouTube, with the video to her Hello song. She achieved this in just 87 days, while it took Psy much long with Gangnam style - 158 days! Congratulations Adele, it is a nice song and the video has a nice bit of you turning on the cooker. 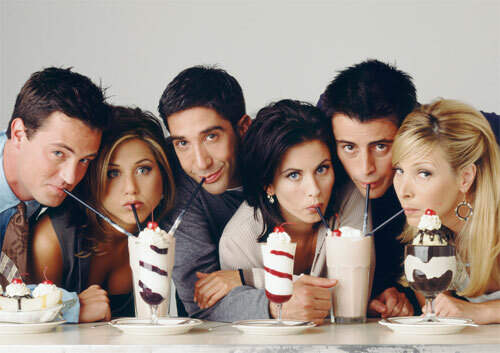 The Friends stars (Jennifer Aniston, Courteney Cox, Lisa Kudrow, Matthew Perry, Matt le Blanc and David Schwimmer) will be reuniting to celebrate the work of director James Burrows. People got really excited about this, thinking that they were filming a special Friends episode set years later, but sadly not. And Matthew Perry might not even manage to turn up anyway. So that's a huge disappointment and a bit of a non-story.